Hand crafted, fashion jewelery created by Janart. 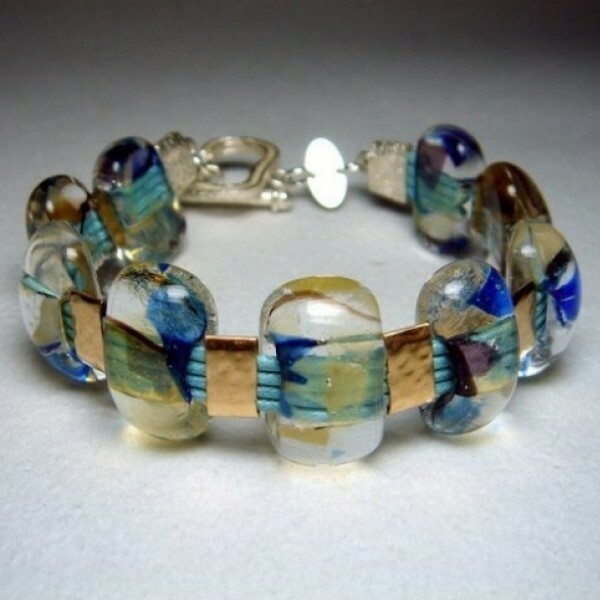 A stunning piece of jewellery, fused glass enhanced by sterling silver and silk cord connectors. A statement for any occasion. Hand Crafted by Jana Sobelman, world renowned Israeli Artist.